Now 15 years in business, the first professional car seat checkup service in the area serving Naperville, DuPage and most of Cook county! For more information about Seatcheck’s expert car seat checkup service, please see why Seatcheck is the best choice for you, the safest choice for your baby and also about what to expect from my expert service! You also can read about me and below you can find Seatcheck’s rates for a course that may take up to an hour for a full instruction on a typical carseat. Seatcheck is a part-time business, appointment times are limited and subject to weather conditions. Home travel service should resume in April. Appointments usually available within 1 or 2 business days, between 10am and 4pm weekdays from April to November. No added travel fee when you visit our NHTSA listed fitting station at our Naperville Address: near Naper Blvd. and Hobson Rd. We also make house calls to your home, office, hospital or baby retail store! Please ADD a travel fee below and call to confirm service in your area. To make an appointment, please email Seatcheck, use the contact form below or call Darren at 630-708-SAFE (+1 (630) 708-7233) from 9am to 5pm. Any discounts will be quoted by email or text when making the appointment. Inspections are performed by appointment ONLY. Appointments usually Monday-Friday, 10am to 4pm, March to November. All installations done personally by the owner. NO random sub-contractors or inexperienced employees, ever. Please arrive within 30 minutes of your appointment time or call to re-schedule. Please give as much advance notice of cancellation as possible for weekday morning and afternoon appointments. In fairness to my family and to other clients, I may not be able to honor an appointment beyond 30 minutes after the scheduled time. I prefer cash at the time of service. Chase QuickPay/Zelle (to services@seatcheck.net) and personal checks issued on major Illinois or national USA banks also accepted. I generally do not accept other payment methods. Credit card swipe transactions may be accepted only if necessary. The American Academy of Pediatrics advises parents to keep their toddlers in rear-facing car seats until they reach the maximum height and weight for their seat. Seatcheck strongly endorses this policy. Some carseats require children to be at least age 2 before they can be forward-facing. Effective January 1st, 2019, Illinois state law also requires that children remain rear-facing until at least their 2nd birthday. Effective January 1, 2011: Illinois State Law states that motorists who are ticketed for first time violations of Section 4 of the Child Passenger Protection Act shall not be convicted if they possess an approved child restraint system and also complete an instructional course with a certified technician. Completion of this course prior to their mandatory court appearance date noted on the citation will also allow for the fine to be waived on a first offense. As a fully NHTSA certified technician, my service and rates above also qualify as the mandatory instructional course required by the court as per section 6a of the new law. Motorists must provide me a copy of the citation and bring an appropriate child safety seat with their vehicle. Upon completion of the course (usually about an hour), I will provide the required IDOT form stating that you have voluntarily participated in the course and received instruction on proper use of your child restraint system. If approved by the judge or officer of the court, this should allow for a first conviction to be dropped and the $75 fine waived. No refunds in the event the court does not honor the form for any reason. To make an appointment or to contact me, please email Seatcheck, use the contact form below or call Darren at 630-708-SAFE (+1 (630) 708-7233) between 9am and 5pm. *Includes addresses in Naperville, Lisle and Downers Grove, including Edward Hospital, Advocate Good Samaritan Hospital, BuyBuyBaby, Target and other stores. **Local travel service area is roughly an 8 mile radius from Lisle, Illinois within DuPage County. This includes addresses in Carol Stream, Clarendon Hills, Darien, Glen Ellyn, Glendale Heights, Hinsdale, Lombard, Oakbrook, Warrenville, Westmont, Wheaton, Willowbrook, Winfield, Woodridge plus parts of Aurora (east of Eola Road) and Bolingbrook (north of Boughton Road). Buying a carseat? Travel service includes retail stores in this area such as Target, Walmart and Kohl’s. Having a baby? We will meet you at your hospital including Northwestern Central DuPage Hospital in Winfield. ***Extended service area is roughly a 25 mile radius from Lisle, Illinois, including parts of Cook, Kane and Will counties, including Arlington Heights, Aurora, Barrington, Batavia, Des Plaines, Elmhurst, Geneva, Glenview, Hoffman Estates, La Grange, Lemont, Oak Park, Orland Park, Oswego, Palos Park, Park Ridge Plainfield, Romeoville, St. Charles, Schaumburg, Skokie, Western Springs and most of Chicago. Please call for rates and to see if your address is in our service area. Thank you Darren for helping us out with a last minute baby carrier install at the hospital! Baby arrived before we got round to taking care of the baby seat and I also appreciate the suggestions for models that best fit a smaller infant! I will be telling all my friends about Seatcheck since the Naperville police department does not offer this service. Darren was very helpful explaining everything from how to buckle baby into the carseat to showing us step by step how to install it in our car and also with a seatbelt for taxi use! Thank you so much for coming to us on such a cold day! I highly recommend Seatcheck to all expecting moms well before you bring your baby home! Thank you Darren and Seatcheck for the home service visit in Chicago we really appreciate the peace of mind in having our carseat installed correctly before baby arrived and thank you so much for spending all the time answering all of our questions too. Thank you for the great service and for meeting my husband at his office. Our hospital required us to have our car seat checked and I could not find anywhere else to do it in time. This is such a great service! With new twins and a toddler I wasn’t looking forward to a hot day waiting in line to get my seats checked and Im so glad I found someone to do house calls in the northwest suburbs. Thank you Darren for going over everything and answering all my neurotic questions and getting in all three carseats across the back of my SUV. I can’t recommend you enough to my friends and social groups! 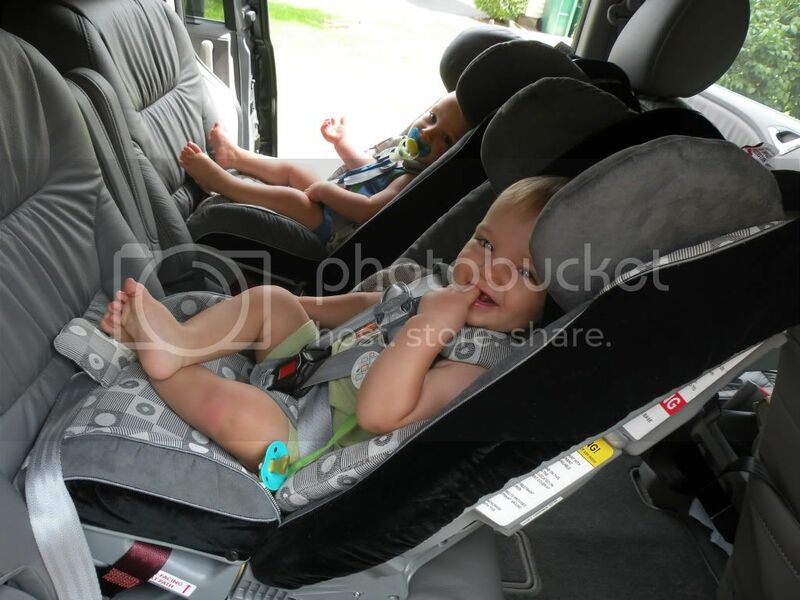 It turned out our infant carseat was installed perfectly but it was worth it to make sure just for the peace of mind! It was actually our other carseat that had not been adjusted in a while that was the problem and had come uninstalled somehow since we had it checked at an event last year. Thank you Darren so much for all the extra time you spent reminding us how to use the infant seat and also for coming to our condo downtown thank you thank you thank you! Darren was extremely thorough and certainly put our minds at ease. At the time of our appointment, we were expecting newborn twins, and we already have a 3 year old, so we needed seats that could fit three-across the back seat of our car. From seat selection to installation, his knowledge is unmatched. He steered us away from seats that might have been a poor fit, and helped us focus on the key details for the ones that would be a good fit. He showed us which seats are best for preemies, and it turned out that our twins were premature and needed car seats that were appropriate for 4 pound babies. He even offered to order the seats for us (we were expecting twins) and have them waiting at his residence for date of installation. He is a true expert and we would recommend him highly to anyone that wants to have one less thing to worry about after your newborn(s) arrive! Thank you again for coming to Lincoln Park in bad weather! This is the second time we had Darren show us how to install a carseat. We tried it ourselves this time but it was a Diono brand carseat that was impossible for us to install and it has a lot of adjustments that are very confusing. We also didn’t realize babies should now be rear-facing until 2 years old so thank you for that advice! I looked it up and sure enough that is what pediatricians and experts now suggest. Anyway, Darren showed us how to install the Diono seat front-facing and then rear-facing. We are now using it rear-facing with an extra tether feature and it is so solid the car shakes if you try to budge it! He also gave us a refresher on the infant seat because baby #2 is on the way later this year. Thanks again, I will definitely tell my friends about your service! Thank you Darren for helping us with a difficult setup getting 3 carseats in our Camry! We had to reschedule due to extreme cold. I would not have wanted my baby out in the cold anyway that day, but carseatcheck was nice enough to re-schedule a few days later and offered a discount as well. The service was excellent thank you! Went to a nearby free carseat event and had a very bad experience and they actually broke a piece of my new car and still did not get it installed right. Darren from seatcheck was able to help us the next day and it worked great so thank you so much again!!! Wow! Darren spent over an hour covering every detail of installing my baby carrier both ways and also going over all the features and how to put a baby doll into the straps. Tons of great info and very helpful with all my neurotic questions from reading too much online and being so worried about it. Baby arrived a week ago and everything is working great:-) Thanks also for being so thorough. Even though he assured us we could do it, we didn’t believe it but once we were finished and back home we installed the extra base in our other car without a problem. Thank you, thank you, thank you. We struggled for hours trying to get this carseat in right before my due date. This is soooo worth it compared to everything else we’ve had to buy for baby and the service is great thanks again. I have been to installers before for my first baby and they drove me crazy with worry and fear over what I was doing wrong and the bad choices I made. Darren was very down to earth and his answers made perfect sense without terrifying me about what might happen to my new baby! Of all the new mom services you use, this is the one that is most essential and as always you definitely get what you pay for! The free events just don’t compare. Wow No one anywhere near my town could help me. I was reluctant to make the drive to Naperville but it was well worth the time even in the cold weather. There was a lot of great information and I got my carseats checked before my due date which is all that mattered:-) Thanks Seat Check! Seriously home service rules, especially if you are 2 weeks overdue and on bedrest. Just what the doctor ordered, thank you seatcheck:-) 🙂 Great service, on time and really a bargain compared to many other baby classes and services we’ve used so far. Unfortunately I couldn’t observe how to install but I will definitely use this service again for the next step. I think this should be a free program because it can save your kids life!!!! Some people have very limited amount of income. They could use the 50.00 dollars to get a proper car seat. Hi Amy- I wish I could offer free services, but my small business is not supported by taxpayers or grant money of any kind. That is how some police and fire stations can offer free checkups and I often refer parents to these if they cannot afford my fee. For example, I have various links on my home page to free services in the area. Unfortunately, many local public fitting stations have closed due to budget cuts because they did not charge a fee. If I did not charge a fee, I also would not be able to stay in business. Physicians, baby proofers, lactation consultants, CPR educators and many other child service professionals can also save a child’s life or provide a very important service, but often charge far more than my service costs. Also, if my service was free, I would be booked for many weeks in advance and would no longer be able to offer appointments within 24-48 hours for clients that need help right away. I provide a level of service above most free services, plus I can offer home service to moms on bed rest or who otherwise are unable to travel to my location. For my clients, these factors easily justify the fee for a service that can save your baby’s life! I used the local police station and it was awful. After the hour was up the officer who said he had only been licensed for 3 months gave up and told me to try somewhere else and some of my carseats had been uninstalled im so glad my kids were not with me that day. Darin from Seatcheck came to my house the day after I called and had all 5 carseats installed including a three across with two diono radian seats and an infant seat for baby due in a few weeks. It took over 2 hours but it was worth every penny to have an expert get them all in right the first time. thx again for coming out in the chilly weather. Thank you Darren for the great service a few months ago and again last week for our second car! I was shocked that I had actually installed one right this time so I guess the first visit really helped:-) 🙂 I have recommended you to all the moms in our play group too thank you again it is so worth the peace of mind. Thank you for keeping my baby safe!!!! Totally worth it and I learned a lot.! Next day appointment at my office during my lunch break! When does that ever happen? Totally worth it. Thank you Seatcheck I learned so much!!! Tried to make an appointment for my newborn twins but they would not accept one. Hi Jerry- I spoke to you a little while ago. As my web page explains, my winter appointment schedule is very limited and subject to weather conditions. I am sometimes available to offer same-day appointments like you requested, but my schedule was booked today and I do apologize for the inconvenience. Also, because of the holiday, I was not able to accept an appointment later this week. With the exception of the winter months, I am often able to schedule appointments within 1 or 2 business days. I hope one of the other fitting station resources I gave you is able to help. Happy holidays and a safe 2016! Thank you so much seatcheck for a last minute appointment. Our triplets were discharged sooner than we thought and we were so glad the three across carseats worked. I highly recommend the instructor Darrin! Darren is outstanding. Not only does he install the car seat, he also educates you on how to strap your child in the seat properly. He throughly explains each step of the process and is really an expert at what he does. I highly recommend his service to anyone who wants assurance that their seat is installed properly. Hi Allie and thank you for your business! I apologize about the misunderstanding. I do charge a travel fee for home service and it was clearly quoted in my email. It was the same rate that is shown on my webpage. With an hour of travel each way and two hours for the appointment, my hourly rate is actually very modest compared to many home services. In addition, even though Northbrook is not in my usual service area, I only charged the normal travel service fee I quoted you, in addition to the small discount off my quoted price for your second carseat, since it was only an extra base being installed in your second vehicle. I am very upset that the City of Naperville does not offer free car seat installations now they want to charge me $50 and they wont even do it when it is cold outside and today is my only day I can do this and my baby is due in a couple weeks!! I pay a fortune in property taxes for city services and should not have to pay extra or wait weeks or months for an appointment for such an important safety service. I will definitely be contacting my city and state representatives about the service. Hello and thank you for your call and your message. I am very sympathetic to your frustrations with the lack of child safety seat inspection stations in the area, especially in winter. Unfortunately, I cannot always offer same day appointments, especially since temperatures were below 10F for most of the day today. I do apologize for the inconvenience as I do not have an indoor space like many public agencies do. Also, this is a private installation service offered directly to clients. I am not supported by any government agency, city, county or state. As a small, local business, I keep my fees as low as possible by minimizing overhead. The drawback is that if I had a suitable indoor, heated facility I would also probably have to charge as much as your average plumber does for a 1 hour visit! I used to offer more winter appointments, but based on significant experience, no one is happy spending an hour when it is very cold and windy! I do hope one of the agencies I referred to you will be able to help you. I am sometimes able to accept winter appointments 1-2 days in advance if temperatures are well above freezing. This information is included on my webpage and in my answering service greeting. Thank you so much Darren @ SeatCheck for fitting me in today! I could not find anywhere else in the area that was open and this service is literally a life saver:) I learned so much from the class that I was able to install a baby seat for my mom and in my other car too. This is a really great class and I highly recommend. -Lilian Y. Thank you for the kind words, Lilian! I was happy to help. It really was your lucky day since I am not usually able to offer appointments during the cold weather, especially in January and February. I am sometimes able to offer same or next day appointments if temperatures are well above 40, like yesterday. A sunny day near 50 was good fortune for January in Chicago! Your precious cargo will be very safe for the winter driving conditions ahead! My sister-in-law in Old Town used another service. I was at the appointment to help with her babies and there was no comparison! I was educating the lady with what I learned from Darren at Seat Check lol. They said they had the training but it sure didnt seem like it. Seat Check is great and when you look at all the other people you hire to come to your home the price is really pretty low and you never get some new clueless guy coming to your house. Its always the owner who is very professional. I haven’t touched my car seat since Seat Check helped me install it a few months ago and it is still in so well the whole car shakes if I try to mvoe it!! I only used them once and I learned enough to do my other car too. Lucky to have a warmer day and a wonderful experience with Darrin helping answer all my questions about using my new cars seat for my new baby!! Highly recommend thank you!